The European Commission has opened anti-trust proceedings against Gazprom, accusing the Russian gas corporation of monopolizing the market. If the corporation is found guilty, Gazprom could be charged up to $6 billion in fines. The Commission alleges that Gazprom divided gas markets in the EU and prevented the diversification of natural gas supplies, which is a breach of antitrust provisions (Article 102) of the Treaty on the Functioning of the European Union. The gas supplier is accused of multiple counts of misconduct: imposing unfair prices on its customers by linking gas prices to the cost of oil; breaching European regulations that prohibit a single energy company from combining upstream, downstream, and sales operations; and failing to grant access to its gas transport infrastructure to local companies. The duration of an antitrust investigation typically depends on the case, and the European Commission has yet to give a timeframe for the completion of its inquiries. 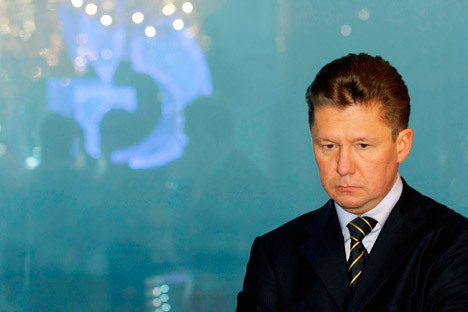 Gazprom has also failed to go on record with a comment on the matter. A spokesman for the company, Sergei Kupriyanov, has only stated that he has no information about the launch of any antitrust investigation. Russian experts have expressed doubts that the European Commission will see the investigation through. “All of the accusations leveled by the EU at Gazprom are clearly politically motivated and circumstantial. Accusing Gazprom of hindering the establishment of a single gas market or of linking the price of gas to oil prices is ridiculous. The linkage of oil prices to gas was invented by the Europeans, not Russians. As far as the single gas market is concerned – what does Gazprom have to do with it? If you want a single gas market, you can build new pipelines, link the Baltics to the EU, link Western Europe to Eastern Europe,” said Konstantin Simonov, Director of the National Energy Security Fund. The main purpose of the Commission’s probe is to weaken Gazprom’s position ahead of a new round of negotiations on European gas supplies, according to Sergei Chizhov, Chairman of the Russian Gas Union. German political scientist Alexander Rahr believes that Gazprom would do well to avoid brushing off the European Commission’s accusations. “Keep in mind that Europe’s gas market has changed dramatically. I think Gazprom was late in realizing this; the Russians were under the impression that they would be able to continue bargaining with the Europeans the way they always had. Gazprom needs to look for new ways to work with the Europeans,” Rahr said. The Russian company should take the European Commission’s accusations seriously not only because of potential financial losses, suggests Vitaly Kryukov, an analyst at the Capital investment company. “Rather than fines, the company’s main problem may be the revision of contract details, such as the pricing formula and the basis for its calculation,’ said Kryukov. This is not the first time that the European Commission has made allegations against the Russian gas corporation. In September 2011, the Commission carried out on-site inspections of gas companies in several member states in Central and Eastern Europe. At the end of those inspections, Gazprom was suspected of anticompetitive practices in its supply of natural gas to those countries. The matter, however, did not proceed beyond inspections. Gazprom now faces a fine equal to 10 percent of its annual revenue in the EU (roughly $6 billion) if it is found guilty. To date, the largest anti-trust case ever won by the European Commission was a $1.5 billion settlement paid by Intel for unfair competition with AMD in European markets. Based on reports by Kommersant,Kommersant FM, and RBC Daily.